The ‘King of the Hill’ triathlon is taking place on Saturday, 27th July 2019. 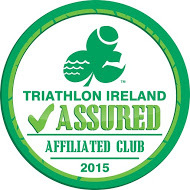 This sprint distance triathlon has been run for the past 19 years in Kinsale. The course starts with a 750m swim at the sheltered Dock Beach in Kinsale, followed by an undulating 23km bike ride, and finishing off with a 5km ‘run’ out and back over the eponymous hill which is breath-taking in more ways than one! Registration opens on the 31st Jan, and the race is limited to 300 individual competitors and 20 relay teams, and is expected to sell out again in 2019. Details of the race are given in the links below.